SC-3000 Survivors is aimed at all those who have a passion for and preserve the memory of this 8-Bit Home Computer. 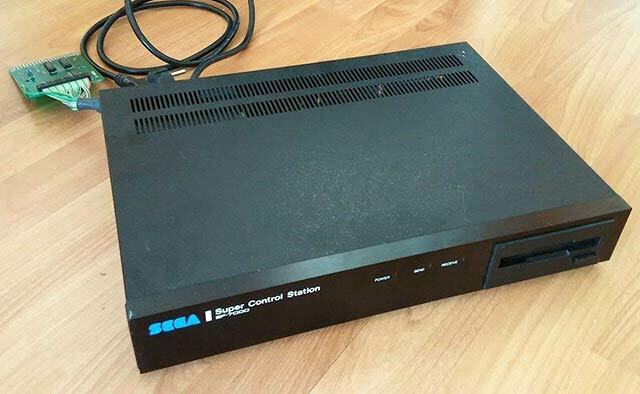 This site will be the home of the SEGA SC-3000 computer and all the accessories that have been made for it. Its mission is to become a reference guide for all retrocomputing enthusiasts who want to learn more about the SC-3000 or want to travel back in time with it. We are currently updating this website, so a new modern and mobile friendly look, faster, and SEO ready. Day by day we will add all the articles of the previous website, cleaned and renewed. For now enjoy this first step. Finally, they return, somebody would say. It sounds impossible but sometimes things are going in one direction, and you can feel the signs everywhere. The resurrection of this website, the contact with an old friend that fixed his SF-7000, and finally a nice guy that decided to sell his SF-7000 to me. After 4 years this unit is back in my hands, ready to contribute to this preservation project with information, tutorials, and demos! The Mk II Multicart can play all the known SC-3000 or SG-1000 ROMs, and it comes with over 70 pieces of tape software. Mobile Casino Party reviews the best sites to gamble for real-money online in the USA. Most players enjoy the slots and roulette, but there's every Vegas game imaginable at your finger tips by using any computer or mobile device. If you decide to play online poker be sure to check out this list of the best online poker sites. There are a handful of Sega games that feature real money casino gambling. Refer to Mobile Casino Party with more online-casinos and games for money that are not on sc-3000. Also, refer to The History Channel or USA Casino Reviews both with plenty more gaming data. Astrododge is the first original game release for the Sega SG-1000/SC-3000 console and computer in almost 30 years! 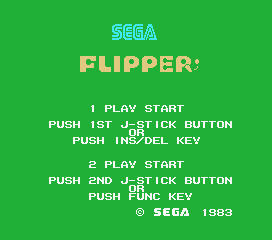 The game is available on a cartridge and runs on the Sega Sg-1000, SG-1000 II, SC-3000 computer and Sega Mark3 systems. We have started a demo section showroom! Machine code, Basic or Hybrid demos will be included to show SC-3000 computer features. If you want you can send us yours and we will publish it! Play free great online flash games such as Happy Wheels at FizzleGames.com, the ultimate free online games portal. If you are looking for some of the best retro and modern free games online, check out Free-Games.net, the home of free gaming. Check out this website for information on where to play real money poker. http://www.uspokersites.com includes daily news on the current legislation and laws. Breaking News: Over the course of 2013 to 2014 thousands of players set their bank accounts and credit cards out on the line because of legal internet gambling in America. Ten times this amount of people now gamble at these new U.S.A. online casinos for real money. They are happy to do so with the latest addition of mobile online casino slots that pay cash, upgraded welcome bonus codes, and the "easy-on-the-eyes" live dealer games. MobileCasinoParty is huge resource of phone/online gaming info. A SEGA SC-3000 computer emulator that runs on Parallax C3 Propeller board!